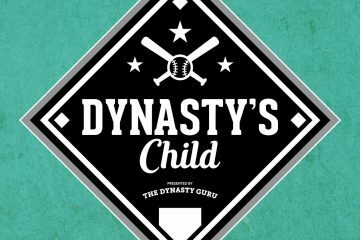 When we cover prospects here at the Dynasty Guru, we’re looking at it through the lens of fantasy value only. And this feels like a good time to mention that if you haven’t checked out the Top 150 Dynasty League Prospects, here’s your chance: 150-121, 120-91, 90-61, 60-31, 30-1. However, the vast majority of coverage on the Internet around the next great wave of stars focuses on overall value. This includes what I like to refer to as “The Big Three”: Baseball Prospectus, Baseball America and ESPN (by way of Keith Law). There are other good sites out there for overall value, but none that get the same type of readership or are held in as high regard as those three. And fortunately for you, faithful Dynasty Guru reader, many owners have a hard time separating real baseball value in prospects from fantasy value in prospects. This is something which can be easily leveraged if you stay on top of these prospect lists. Generally speaking, the differences between the real and fantasy rankings of prospects comes down to separating defense from the equation (outside of the ability of said prospect to stick at a position) and adding in overlooked aspects of the fantasy game, especially stolen base potential. The defensive aspect of this works both ways, as you can tell by the lists where Francisco Lindor is ranked ahead of Xander Bogaerts. It’s both Lindor’s impressive defense and Bogaerts’ questionable defense that come into play here. It’s rare that a player who projects to hit around .270 with 10 HR is this high up on prospect lists, but that’s how good Hedges’ defense could be. The same comment for Hedges applies here, except Lindor will be a better fantasy player in his prime. However, with two top-10 rankings, people may start to think that he has Profar-upside with the bat (which he does not). Almora and Bradley get lumped together because it’s almost the exact same profile, with Bradley being more advanced and having less upside. 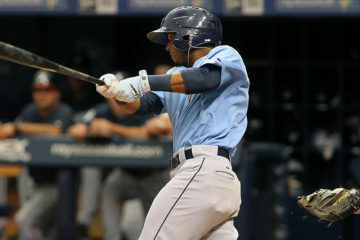 They are both admired in the prospect world because they bring potential plus-plus defense to the table in centerfield. And while they have the talent to contribute in all five categories, they are more moderate contributors than the rankings would suggest. This one was just strange, as Bethancourt cannot hit. He is borderline irrelevant for fantasy. These two are lumped together because of how much more valuable the stolen base is for fantasy than it is when measuring what a player will be worth to a major league organization. Both of these guys stole triple-digits last year and both could be elite fantasy performers if they can hit in the majors. Gyorko is ready and he can hit, he just can’t play defense particularly well. Craig wrote a lot more words than this on him yesterday. The question with Rosario is whether he can stick at 2B, and he’s valued as though he’s either a bad defensive 2B or an OF. The distinction which doesn’t matter for fantasy is whether he’s a good or bad defensive 2B, just whether he maintains the eligibility. First basemen are always pushed down these lists because the bar is so high for the bat, but that’s how much I believe in Vogelbach’s bat. In fantasy, there’s always a CI or DH spot to put someone like Vogelbach – and I think he’ll be worth the price at any position. You can also find me at Baseball Prospectus. So Almora is not high on that list because he has the potential to be an impact bat? Correct, based on what we know now, Almora is not an impact bat. He could be a very solid hitter, and I like him to get there, but it’s the combination of offense and defense that draws him so high on the non-fantasy prospect lists. It’s also an advanced approach which muddies the fantasy waters even more. Fully agree on Hedges and Lindor. I had someone recently try to trade Lindor to me while touting his rankings, but I countered with the same argument you make here. Although, I do think you’re selling Bradley a tick short – you’re not buying that his plate discipline and run scoring potential are enough to compensate for his lack of plus power/speed? I still think Bradley is a solid prospect for fantasy, but you just hit the nail on the head — he’s only going to have a real impact in one category. Maybe he ends up being a Denard Span type, with a little more OBP and runs, but a little less speed? That’s probably closer to his floor than his ceiling, but that’s still worthy of his real life prospect ranking. After all, Span is a 3-4 win player when healthy. i love this. even better if you added 5 more guys to each side of this discussion even if they arent as extreme as these guys. 1) Baseball America gave Slade Heathcott rankings of 60 for power and 70 for speed and an overall prospect ranking of 63 overall. What factor(s) led to him being ranked 134 in these rankings? 2) I was hoping you would be higher on Marcell Ozuna (purely out of selfishness since I have him in a team). Given his massive power potential and ability to steal a few bases, is it concern about his batting average or that he is a bit risky that led him to be ranked 127? 1) I don’t buy the 60 power from Heathcott, and I also have huge questions about his ability to stay healthy. If I had gone a few names deeper on the “overvalued because of defense” list, Heathcott would have made it. Mine is a conservative ranking, and frankly, I was surprised to see BA so aggressive on him. It’s understandable because he is a toolsy guy, but I’m not there yet with him. 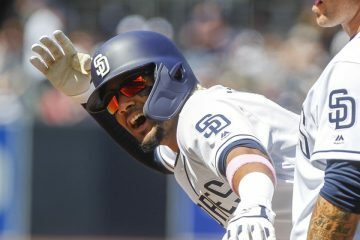 2) It’s a concern about contact and approach, which can manifest itself in either a bad batting average at the major league level or just completely busting as a prospect. Both are legitimate concerns with Ozuna, but his power is strong enough that he still ranked in the Top 150 despite all that. So is it okay to trade Almora for Moreland in dynasty? I wouldn’t go that far. Moreland is nothing special and Almora is still a potentially solid fantasy bat with a pretty high floor for a prep player. Agree with Bret here. Almora has more value in a dynasty league than Moreland does. Okay. Aiming at Brantley now. Considering Brantley was drafted 2 rounds ahead (15 team new dynasty) of Almora, I will have to sweeten the pot. What pick next year or any of the following should I offer with Almora? I don’t know what Bret thinks, but I wouldn’t move Almora to get Brantley. I like Brantley fine, but he’s no difference maker, even in a league this deep. I’d let Almora’s trade value increase (though his broken hamate doesn’t help) and move him for someone better at the peak of his value. I wouldn’t be adding to Almora to get Brantley. Agree – don’t waste Almora on a near replacement level player in Brantley. Hang onto him and hold out for more.